How I Gained it: When I was in college, I started eating out a lot at lunch, mostly at fast food restaurants because it was easy to grab a burger between classes. The habit of eating burgers and fries every day stuck with me even after college was over; I continued to eat unhealthy meals when I started working, as well. I would get fast food three to four times a week. I wasn’t eating enough fruits and veggies at the time, either. I would always go for the quick snacks like chips and candy, I didn’t control my portion sizes and I didn’t get enough exercise in my daily routine. Breaking Point: I couldn’t stand having my picture taken because of the way I looked in photographs. I also got tired of going to the store and seeing all of the really cute outfits that I loved but couldn’t wear. It just really hit me one day that unless I made up my mind to do something about my weight, things would never change. 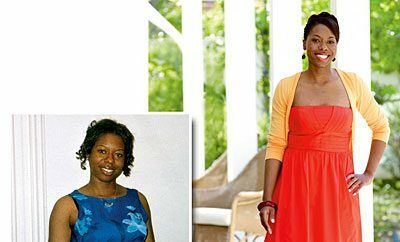 How I Lost It: I started Weight Watchers again (a few years before, I had actually lost about 30 pounds on the program, but I didn’t stick with it), and I started exercising every day. Exercising is definitely not the easiest or most fun thing when you first get started, but I knew it was something I needed to do in order to lose weight and get healthy. I started off by walking about 25 to 30 minutes each afternoon for about a week or so. Then, I just started working my time up and switching off between the treadmill and bicycle. I would walk outside sometimes, if the weather permitted. 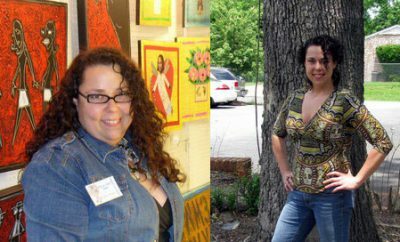 Once the weight started coming off, I was more motivated to exercise and continue losing. Now I walk, jog or bicycle around three to four miles every afternoon and I really enjoy it. I just don’t feel right if I don’t do some type of exercise now! I also make healthier food choices; instead of eating a 100-calorie chocolate snack (even though it may only be a couple of WW points), I go for lots of fruit and veggies because they’re a lot better for me in the long run. I have become addicted to peaches and watermelon! I think being older and more mature helped me to realize that my weight was very unhealthy and that I needed to do something about it now, not put it off until later. Everyone at work and my family was very supportive and really encouraged me the entire time, which I think is a really important thing. When someone is trying to lose weight, hearing the occasional “How much have you lost now?” or “You’re doing great, keep it up!” is really motivating and helps keep you going even on those rough days! I definitely feel better about myself, both mentally and physically. And I can wear some of those cute outfits now! 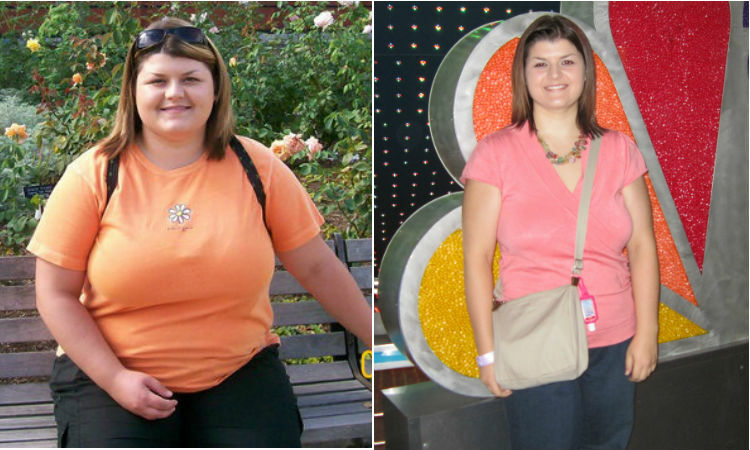 ← Previous Story 88 Pounds Lost: This is me and I love her! You look fantastic. Just had a gastric sleeve. Hope I can lose 100 lbs. Sometimes i wish someone could post how long it took to lose the weight on here cause i would like to know.